Babies require a lot of “stuff” when they arrive into this world. From changing tables, burp cloths, clothes, and play yards… the list goes on and on! Spit ups and accidents are inevitable, which requires you to have extra clothes on hand, that way you are not constantly doing laundry. 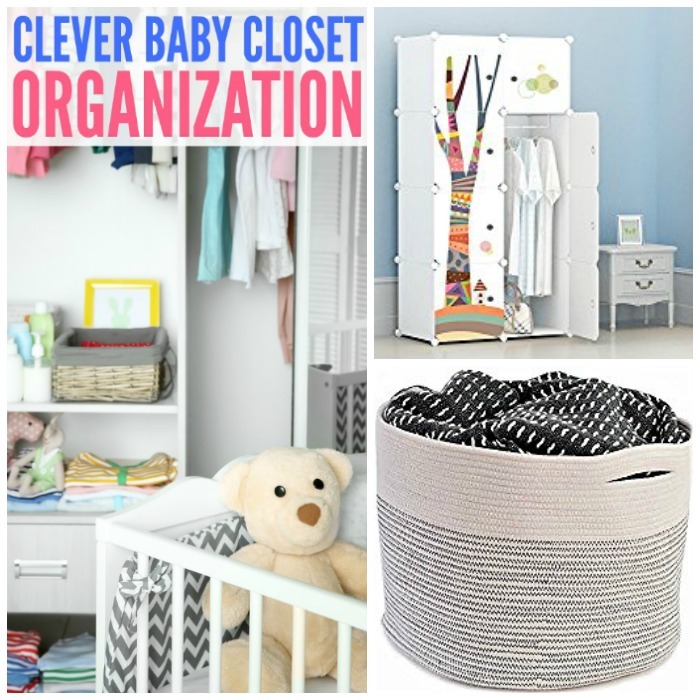 Here are some baby closet organization items you can purchase, to help maximize your space in the closet. These items are pretty affordable and work great for smaller rooms where you really need every ounce of space to be used to make it work! Also, check out this article for more baby clothes organization ideas. These fabric shelves work great to be used for more storage space. These shelves are great to hang off to the side of your closet or even right down the center. They help utilize every ounce of space. This is 7 drawers and 3 shelves, so it really allows you a lot of storage space. You could store shoes, diapers and wipes, socks, and more on these shelves. This closet organizer offers a center set of cubes that you can place items in, as well as three different rods. These rods are perfect for hanging all your baby clothes and other items. This layout helps use every bit of your space. The rods are adjustable so you can fit it to the size of your closet. You can hang this on your closet door or in the back of the closet. This really affordable option allows you to create more storage space. Store lotions for your baby, socks, shoes, even bottoms if you don’t have a dresser. If you have space on the floor of your closet, try some storage baskets. You can store blankets, toys, dirty clothes or anything else you want in these. They are a nice size and sturdy. These stackable shelves are great to use on the bottom part of your closet. Baby clothes are so tiny they don’t hang really low like adult size clothes so the lower half of the closet is generally open. You could place one or more of these stackable shelves inside on the floor to help store more items. Buy little bins that go in and out to hold your items for baby. You can store extra lotions, diaper rash creams, diapers, wipes, clothing that won’t hang, or anything else. Better to be safe though, anchor these to the wall to avoid accidents. If you don’t have a closet and are looking for something to store all your baby items in, consider a portable closet. These are a great thing to stick in a corner of the room to help gain a bit more storage! You can buy different designs to fit your style of decor. Plus they have lots of space which really helps! 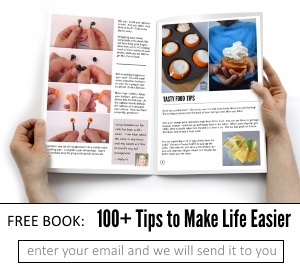 You can find a lot of great items to help use up all the free space you have. I love these baby closet organizer options because they are pretty affordable and help you get all your baby items into the closet, and have it looking nice and organized! That way when you go to grab something you can find with ease, instead of digging around for a long time!